A world leading provider of audit, tax and consulting services to entrepreneurial growth-focused organisations globally. 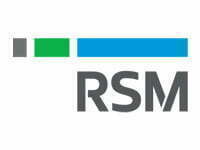 RSM is a powerful network of audit, tax and consulting experts with offices all over the world. As an integrated team, we shar, skills, insight and resources, as well as a client-centric approach that’s based on a deep understanding of your business. This is how we empower you to move forward with confidence and realise your full potential. This is The Power of Being Understood.